Two hours on a Sunday for a lifetime of squat perfection presented by Coach Mike G.! Let us know if you’ll be attending. 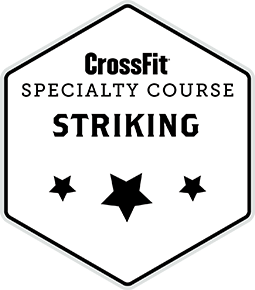 CROSSFIT STRIKING WORKSHOP Sunday, February 11th. 8 AM- 5 PM Of all the Specialty courses I’ve participated in this was one of my favorites! !